Tortoiseshell Wood is a wood with an associated wildlower meadow, just off the A1 around 10 miles to the south of Grantham. 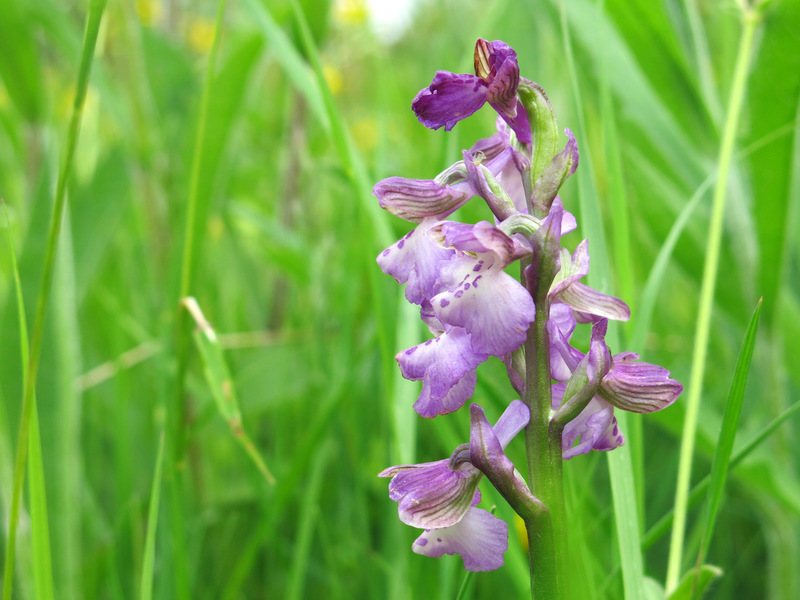 It is owned and managed by the Lincolnshire Wildlife Trust – I spotted it on the Wildlife Trust’s Nature Finder App which I can’t recommend strongly enough as the best way to find great spots for wildlife wherever in the country you find yourself. How I have lived so close to this site for so long and not visited, I do not know! 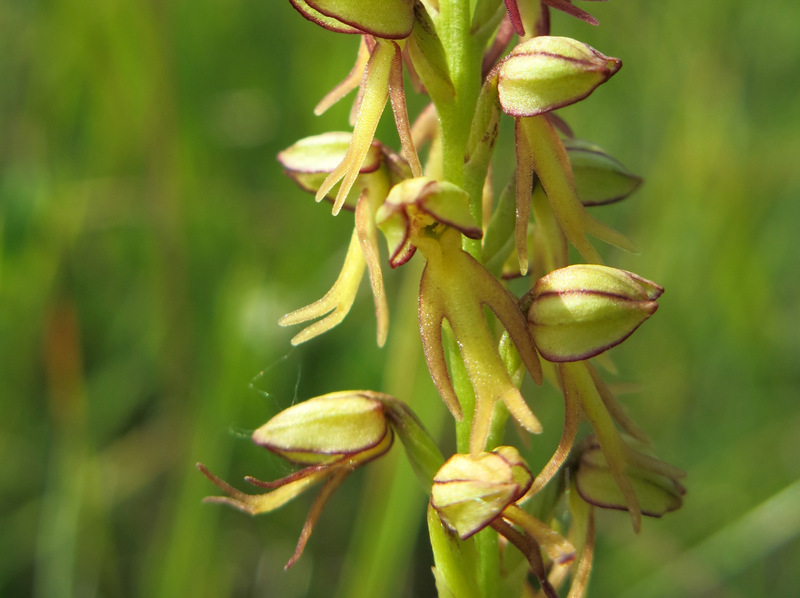 The woodland boasts an impressive array of native woodland flora – you can find out more about the site including a list of species highlights, locations and access on the Wildlife Trust website here. 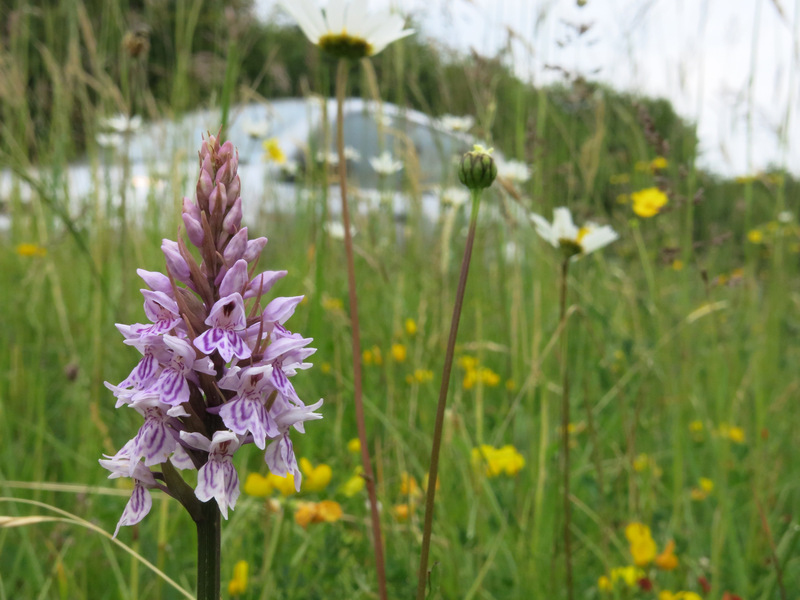 We parked on the verge of the road which runs to the south and walked up through the meadow – this was low mown and well before it’s peak although there were still impressive numbers of cowslip and early purple orchid to be seen. 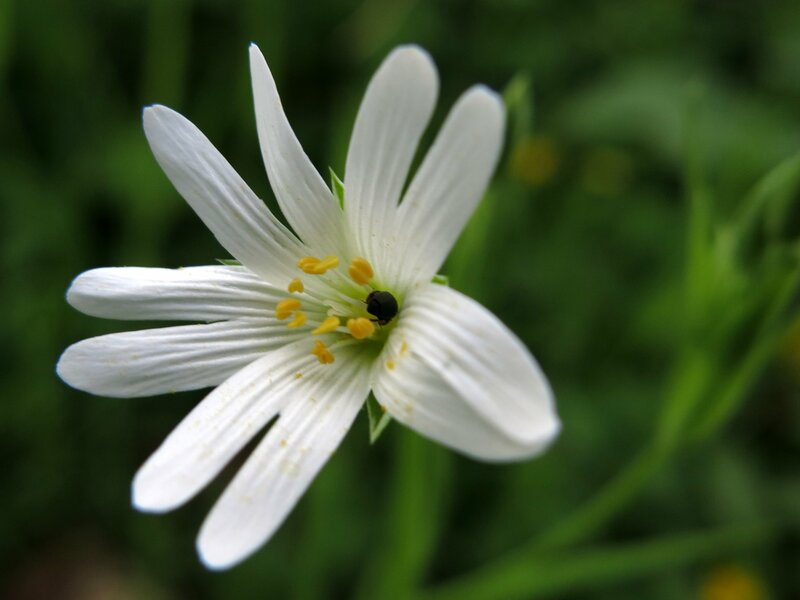 The hedgerows on the approach hint at what is to come; greater stitchwort flowers fleck the green backdrop of arum lily and dog’s mercury. Once into the woodland, we followed the long loop path around the woodland. 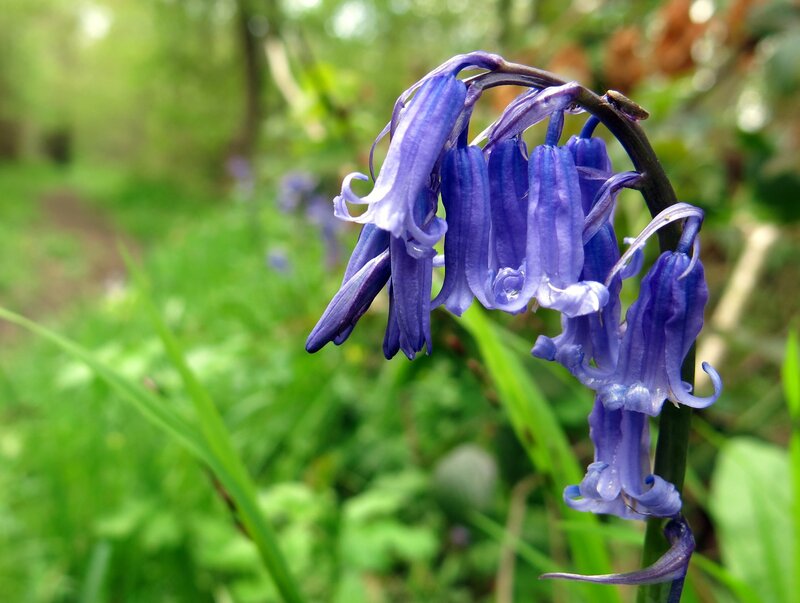 Our native bluebells – Hyacinthoides non-scripta – are coming into their peak at the beginning of May, just as the earlier species such as wood anemone are starting to go over. Lesser celendine with its bright, glossy yellow flowers attracted a range of pollinators whilst the early purple orchids flourished unobtrusively against the bluebells. 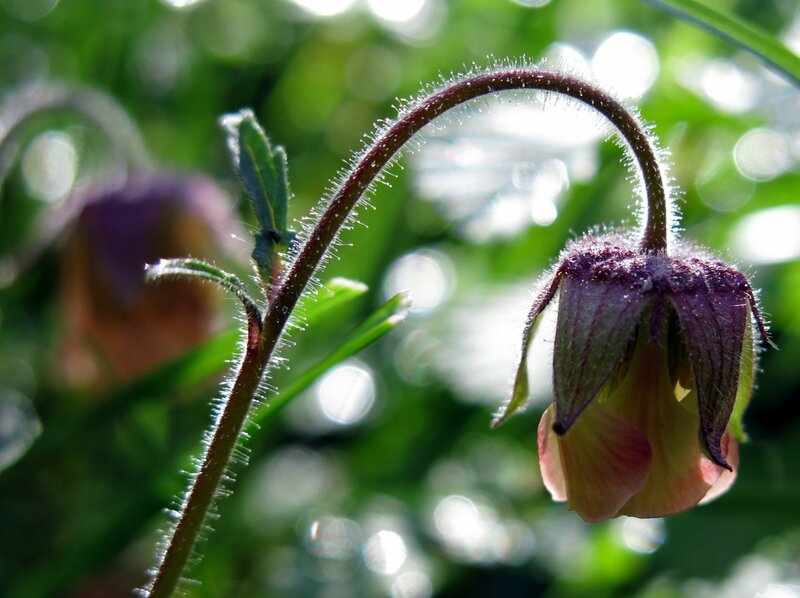 We found patches of water avens, with their gently nodding heads like an apricot-orange snakeshead fritillary. 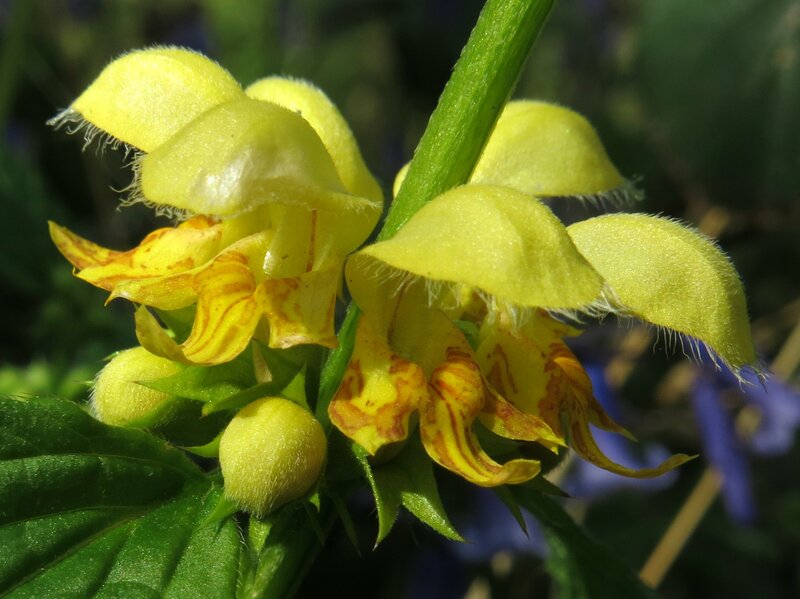 Yellow archangel – another ancient woodland specialist – was just coming into flower, as was the deep purple spikes of bugle. Sweet woodruff formed banks along the southern boundary with little white pebbles of expectant flower buds, whilst dog’s mercury held its green seeds aloft, the unobtrusive flowers of March and April already gone over. Soft yellow primroses, mauve violets and white greater stitchwort nestled in amongst sedges, rushes and grasses to create a truly special experience. If your only experience of woodlands is the recreational conifer plantations of monoculture pines with brambles and bracken below, you’re in for a treat! The dappled rides of the woodland were buzzing with insects including hoverflies, bumblebees and solitary bees, as well as the first damselfly I have spotted this year. 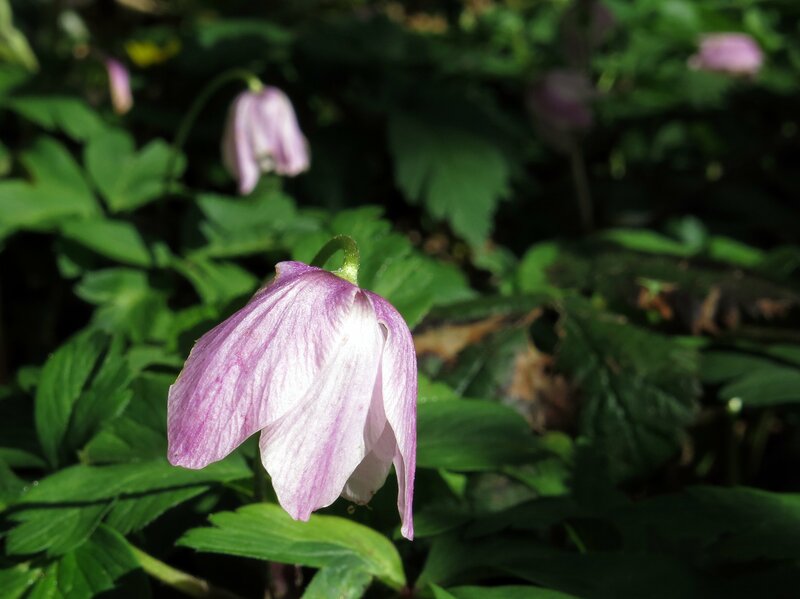 The woodland canopy is as alive with birdsong as the woodland floor is with our native flora and just to cap off the visit, we heard a cuckoo calling from the hedgerow on the way back to the car. 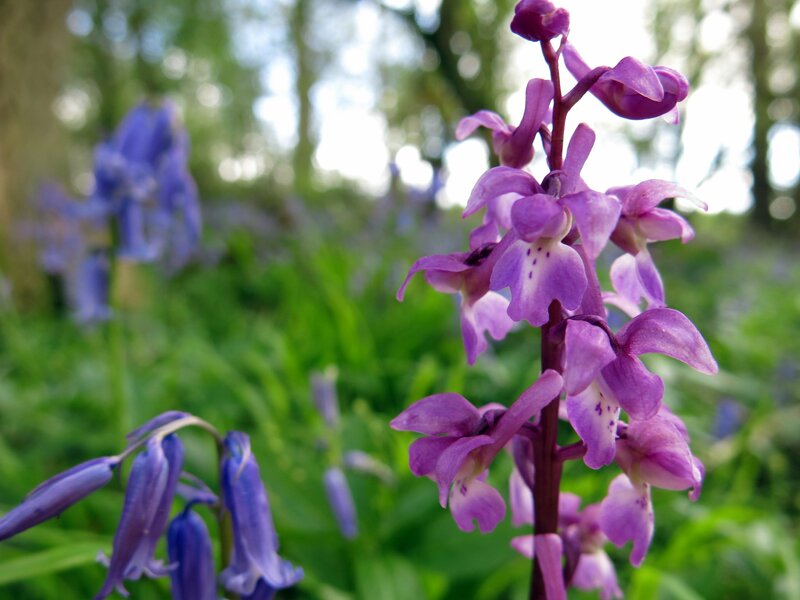 Take a look at the Lincs Wildlife Trust website and make the time for a visit in the springtime – this is what our native woodlands should be like! It’s autumn and those creatures which hibernate through the winter are beginning to make their preparations. The squirrels are out burying nuts to tide them through, the bats are fattening up on insects to see them through torpor and those invertebrates which sleep the winter away are looking for safe places to stay. A likely indicator of a hibernating insect is an early appearance in the spring. This is true of the brimstone butterflies which, for many, heralds the start of spring, and also the rather ungainly named drone fly. This is actually a hoverfly – Eristalis tenax – which is named not for the sound it makes in flight but for its similarity to a honey worker bee, a drone. 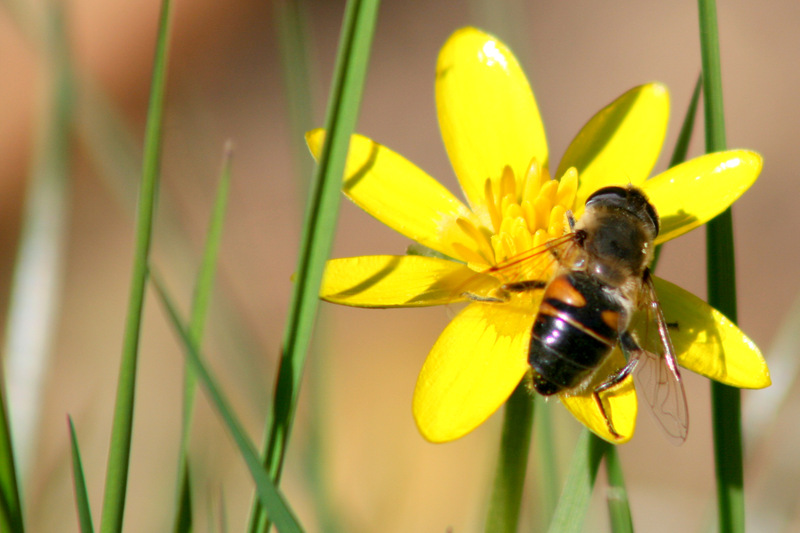 These flies can often be seen early in the springtime, taking advantage of the first available nectar sources such as the lesser celandine pictured below. 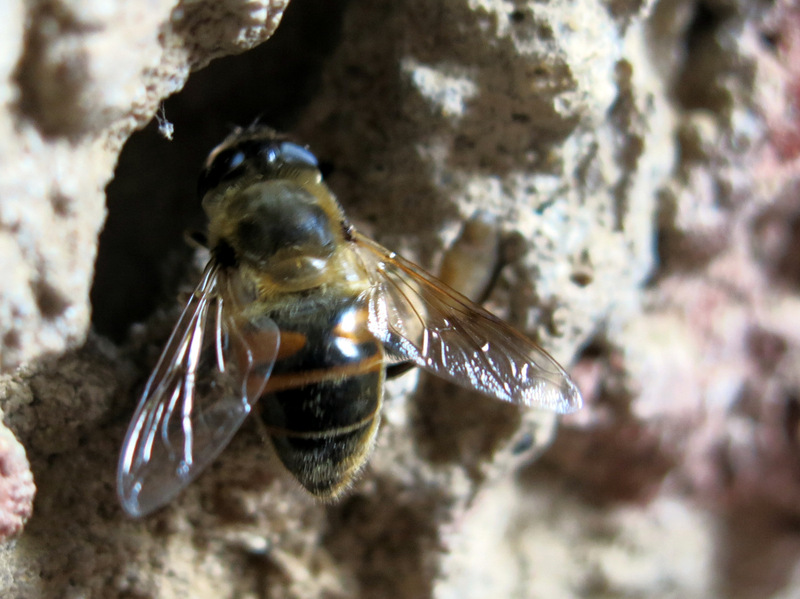 We visited Tattershall Castle last weekend – a National Trust property out near Lincoln – and spotted several of these drone flies investigating crevices and cavities in the roof of the kitchen at the ground floor of the castle. You descend here down a small flight of steps and this movement below the ground will appeal to the hoverflies – conditions tend to be more stable and remain above freezing when you are beneath the ground level. 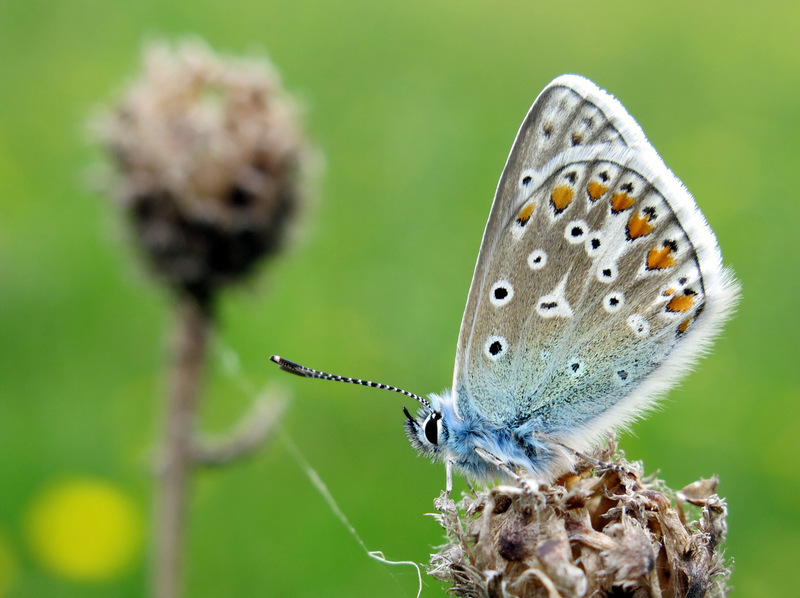 Stability of conditions is often as important as suitable temperatures – a stable environment means less false signals that spring is here and emerging from hibernation too soon is never a good idea! The hoverflies were not alone – tattered small tortoiseshells and red admiral butterflies were also checking up and down the walls for a safe place to roost for the winter whilst herald moths were already settled and looking set to sleep until spring. The Bat Conservation Trust runs an annual Bat Conference in September each year which is attended by bat groups, enthusiasts and professionals from around the country. They also hold regional conferences once every two years and this year’s Midlands conference was at the end of April. The focus of the conference is not exclusively based in the region, but has talks from local bat group members and researchers as well as spotlight talks from the various bat groups in a region so that neighbouring groups can find out about projects which others in the area are involved in. Rachel Fryer gave a talk on the emergence behaviour of Natterer’s and brown long-eared bats. She observed two known maternity roosts once a week between May and September and recorded each emerging bat to identify the earliest emergence time, the median emergence time and the number of bats emerging, and correlated this with environmental variables. The earliest emergence times proved interesting with records earlier than the textbook examples. The median emergence time for Natterer’s was 60-64 minutes after sunset whilst brown long-eared bats left a little earlier with a median emergence time of 44-49 minutes after sunset. The number of bats emerging were found to fluctuate between nights – this could relate to some bats remaining in the roost or the colony being split between different roost sites. However, there was a correlation between the number of brown long-eared bats emerging and the average wind speed with fewer bats emerging on windier nights. The light levels also seem to influence emergence behaviour with brown long-eared bats emerging later under higher light levels; and Natterer’s bats emerging earlier when there was higher cloud cover. This empirical information on the emergence characteristics is valuable as existing published information is often sparse and often doesn’t specify whether the time relates to the earliest or the median emergence time. A talk given on behalf of Lia Gilmour from the University of Bristol shared the results of Species Distribution Modelling of Bechstein’s bats and the use of the results to identify further suitable habitat for this rare species. The principle behind this modelling is to look at the conditions in which the bats are found and identify further locations where these conditions are present. In theory therefore, if the SDM is modelling correctly, the bats may be found in these locations. This model found four key variables which appeared to be important: the presence of broadleaf/mixed woodland, a relatively low summer rainfall, a minimum January temperature of >7 degrees and a relatively high temperature range. This corresponds well with the southern distribution of this woodland dwelling bat. The model appeared to work well as new records were found to fall within the optimal or marginal suitability distributions predicted by the model. This is a valuable tool in targeting the search for further Bechstein’s colonies to those locations where the bats are most likely to be found. It will however only identify further habitat like the ones in the bats are known to dwell and so new colonies may still be found in unexpected locations outside of the current or accepted range. This problem is further exacerbated for the Bechstein’s as so much of the distribution is known from targeted surveys using acoustic lures to capture and identify the bats. These surveys were largely carried out in locations where the bats were most likely to be found – specifically broadleaf woodland sites in the south of the country and this will have influenced, in turn, the predictions of the models. It is a case of don’t look; don’t find and the risk with this approach is that more borderline sites may be overlooked if the limitations of the methodology are not appreciated. Phil Brown has been undertaking research using DNA analysis of small myotis species bats. A cryptic species was recently identified in 2010 called the Alcathoe bat which is very similar to Brandt’s and Whiskered bats and, whilst known on the continent since 2001, was not known to exist in England. One of the aims of Phil’s research was to see whether these bats could be identified outside of their current known range of Sussex, Surrey and North Yorkshire. 70 sites were surveyed and 395 bats were caught of which 39 were whiskered/Brandt’s/Alcathoe (WAB). This targeted capture and DNA collection was supplemented by samples sent in by other bat workers around the country with the result that a total of 110 WAB samples were tested. 95 of these were found to be whiskered bats; 10 were found to be Brandt’s bats; and 5 were found to be Alcathoe. Sadly, these five bats were all found in Sussex/Surrey and so there remain no records in between their current known locations towards the north and south of the country. 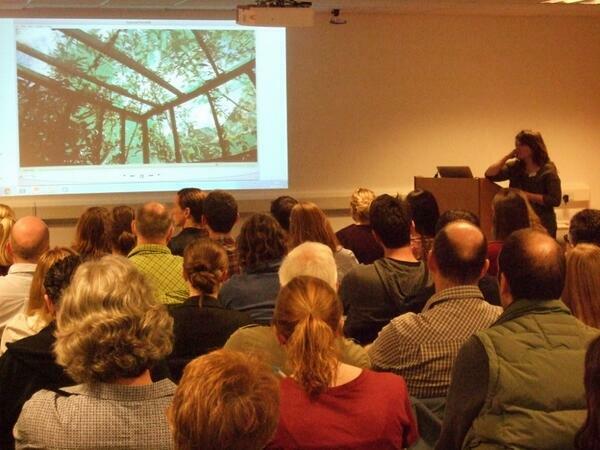 Morgan Bowers from Brumbats gave an inspirational and enlightening talk on the new flight cage they have had built. This allows the bat carers to assess the health and abilities of rescued bats, gives the bats opportunity to exercise and to behave in a more natural manner, and allows them to be rehabilitated and soft-released with a more supportive environment if they take a little longer to build their abilities. This also saves the perennial bat carer issue of bats getting loose in the house and hiding in the most unlikely places – including inside a hoover! The flight cage is a good training tool as well as it offers a safe environment for new bat carers to learn their rehabilitation and handling skills. You can find out more about the flight cage here with some videos to watch too! Another blog on the conference can be found on the Brumbats page here. The last talk of the day was given by Alex Barlow on White Nose Syndrome in the UK. This is a devastating disease in the USA which has seen mortality rates in hibernation sites of 97% for the little brown bat and 49% for the big brown bat. The syndrome is caused by a fungus which infects the bats and gives a characteristic white nose where the mycelium grows. The presence of the fungus leads to increased evapotranspiration and loss of electrolytes which effectively dehydrates the bat and it rouses out of torpor to drink – some bats have even been observed trying to eat snow. The survival of a bat through the winter is a finely balanced process and this wakening uses a large amount of the winter reserves of the bats which then can not find food to replace the energy they have lost. 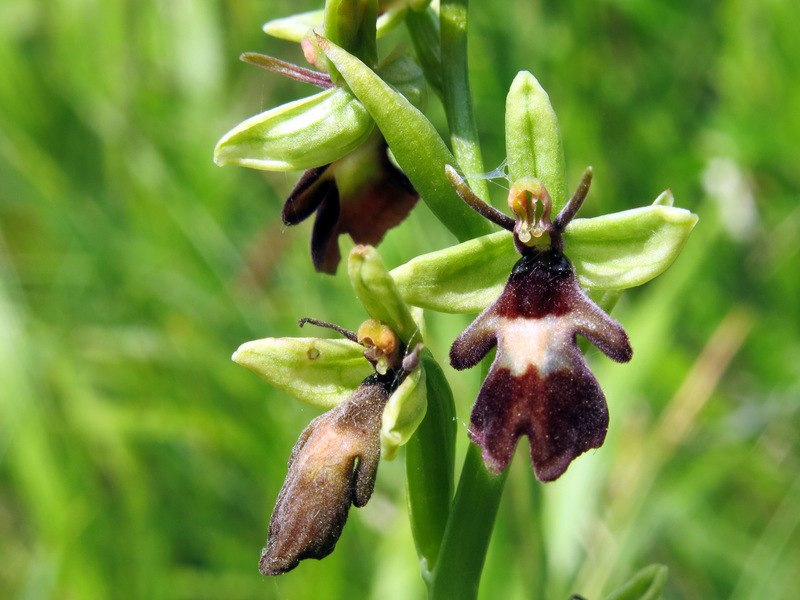 There were serious fears that this disease may spread to other locations but surveys and sampling across Europe have found the fungus but have not recorded any associated mass mortality events. 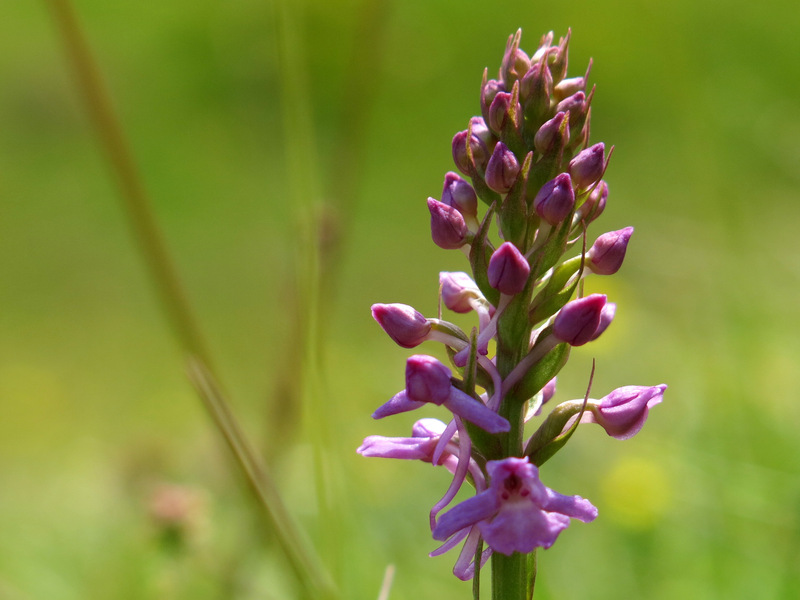 DNA analysis of the fungus has found significant genetic diversity in Europe which suggests that it is endemic to the continent, whilst those in the USA are all genetically similar, suggesting it is a recent introduction. This may mean that the European bats have co-evolved alongside the fungus and will therefore be able to cope with it, whilst it is a novel pathogen to bats in the US and they have suffered badly from its effects. Further active surveys for the fungus are taking place through 2013/14 with 25 sites selected across the UK, especially those used for tourism or caving. The current state of knowledge allows us to be cautiously optimistic that this fungus should not lead to the same level of devastation in the UK as has been seen in the US. The spotlight talks from the local bat ground included Lincolnshire all the way across to Warwickshire, Worcestershire and Derbyshire taking in Leicester and Rutland, Nottinghamshire and Birmingham and the Black Country on the way. A range of projects are underway including NBMP monitoring of roosts; the Nathusius pipistrelle project for which Nottinghamshire and Derbyshire are amongst the pilot groups; the BrumBats Batlas project which aims to extend their knowledge of bat distribution across the area; and a range of public engagement events including bat walks and talks. For more information on the activities of all of these groups, check their pages which are all linked above. Whatever your level of interest, there will be something to get involved with wherever in the Midlands you are! I had something of a surprise when out walking along the Grantham Canal at the weekend. A friend posted a cracking photograph of a mink on twitter (and now on her blog which you can read here) which was seen along the stretch between Harlaxton and Denton. 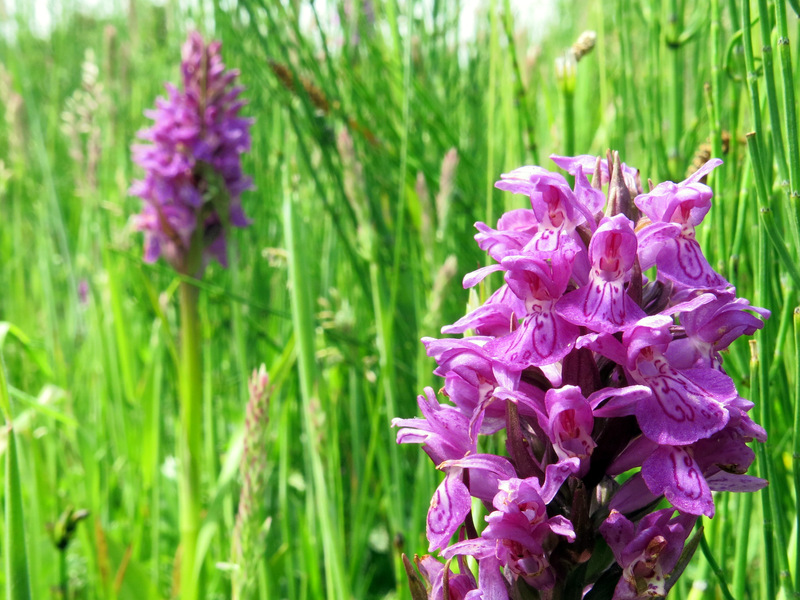 This is a non-native species and can cause serious damage to the ecosystem through their predation on native species of fish, birds and water vole. However, it is argued that, as these are all food sources for the native otter, the non-native mink is filling a currently vacant ecological niche for a semi-aquatic carnivorous mammal in our waterways. Whilst the grey squirrel competed with the native red in a similar way to the detriment of the reds, there is good evidence to suggest that the re-colonisation of a watercourse by otters will lead to the displacement of the smaller mink and so the native species would win out in the end. Whilst we wait, and hope, for otter to continue their spread through our native watercourses, the mink could be seen as its understudy. They can however cause serious problems in some locations, especially where they prey upon the eggs of sensitive bird species, and eradication programmes are in place in a number of locations to remove them. I have only once seen a mink along the canal, on the stretch by Woolesthorpe some years ago, and was keen to see another. I was scanning the edge of the canal as we walked along and was taken aback to see a completely different non-native species instead – a red-eared terrapin (Trechemys scripta elegans) basking out of the water on a log! This individual was around 30-40cm which is adult sized. These reptiles, originally from the Americas, were popular pets in the 1980’s and 1990’s following the Teenage Mutant Ninja Turtles on childrens’ TV. They tended to out-grow their confinements and many of the more irresponsible owners simply released them into the wild. They can live for several decades and so this specimen could have been in the canal for a long period of time. The sale of these species does continue however so it could be a more recent arrival. 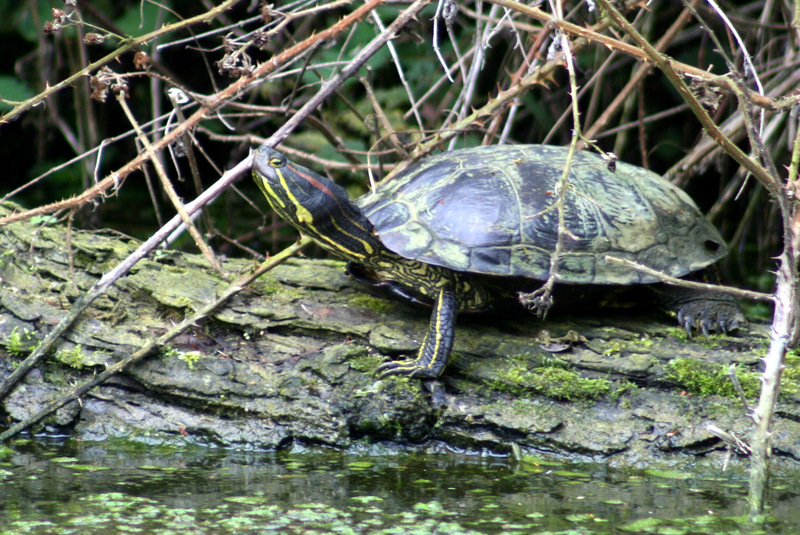 The terrapins feed on aquatic invertebrates and amphibians and so, like the mink, are a cause for concern in British waterways. Whilst the mink is quite able to breed and spread throughout the UK, there is less concern about the terrapins at present – they require around 100 days of >27 degrees or 60 days of >30 degrees for the eggs to successfully hatch and the young to develop which is rarely achieved in a British summer. This puts the terrapin into a different category to the mink – whilst they are not desirable, they are at least naturally controlled by the climate and they should not increase under their own steam. This means that there is not currently a requirement to control them in the wild; rather better controls on the sale of these species should ensure that they do not continue to be a problem once the individuals at large have died out naturally. That said, increased temperatures as a result of climate change could see this whole situation change! A juvenile was spotted Regent’s Canal in London last year and this caused concern that they might have found conditions warm enough to breed in our unusually hot summer. The individual spotted in Grantham canal may even be the only one present – if no others were released alongside it. There is a record of an European Pond Turtle in the canal from 2006 which may be a misidentification of the same individual I saw, or it could be that this non-native species is also present along the waterway. Next time you are walking along the canal, keep an eye and you might just spot something unexpected! For something a little bit different, I thought I would share a walk which is one of my favourites in the area. It starts from the village of Harlaxton to the west of Grantham and takes you out across farmland, through woods, around Denton Reservoir, follows the canal for a while as well as a taking in stretch of the ancient track – the Viking Way. Best of all, the mid-way point of the walk has a choice of two different pubs where you can stop for lunch! The walk is 9.3 miles in total and can be shortened in a few places if you consult an OS map. This includes cutting up the Viking Way to avoid the village of Woolesthorpe (and both of its pubs!) and starting in Denton rather than Harlaxton. The numbers on the instructions relate to the map. I have also put in italics a few points of interest along the way. I hope you enjoy this walk and that all the instructions are clear – let me know if you try the route out and anything interesting you see along the way! Start the walk in Harlaxton village – there is a layby where you can park opposite the medieval monument and phone box which are just beside the village shop. To reach the starting point from the A607, turn left into the main village (if you are coming from Grantham) and follow the road round until you find this location. To begin the walk, head back up towards the A607 on the High Street. As you pass the shop, you can see a field on the left-hand side which is an old orchard often grazed by a diminutive pony. 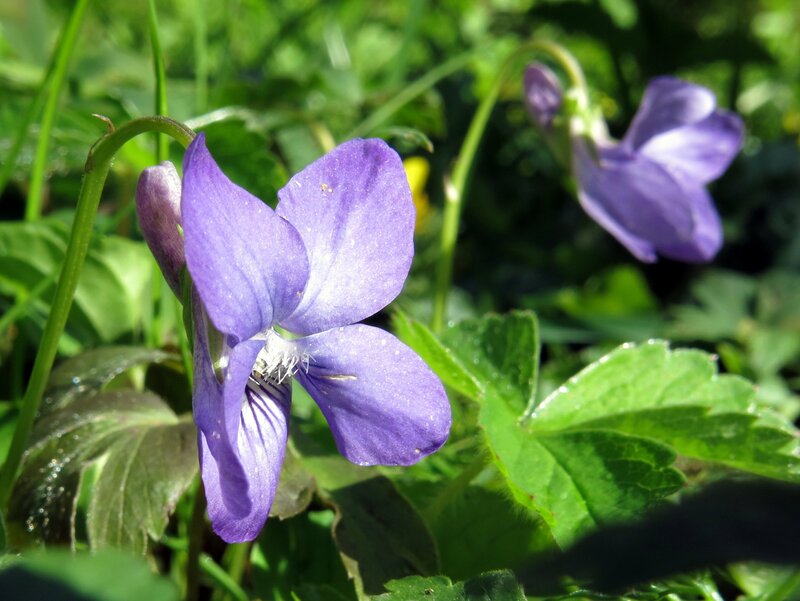 There are often interesting wildflowers such as greater celendine to be seen along this edge in the summer months, as well as spring flowers such as forget-me-not earlier in the year. When you reach the A607, turn left and walk west for a few minutes until you reach the see a wide layby on the opposite side of the road. At the nearest end of this, you will see a metal gate and a footpath sign pointing you north along a track signed Peashill Lane. Take this track, being careful to close the gate properly behind you, continue past a farmstead and follow a rough track down a gentle slope. 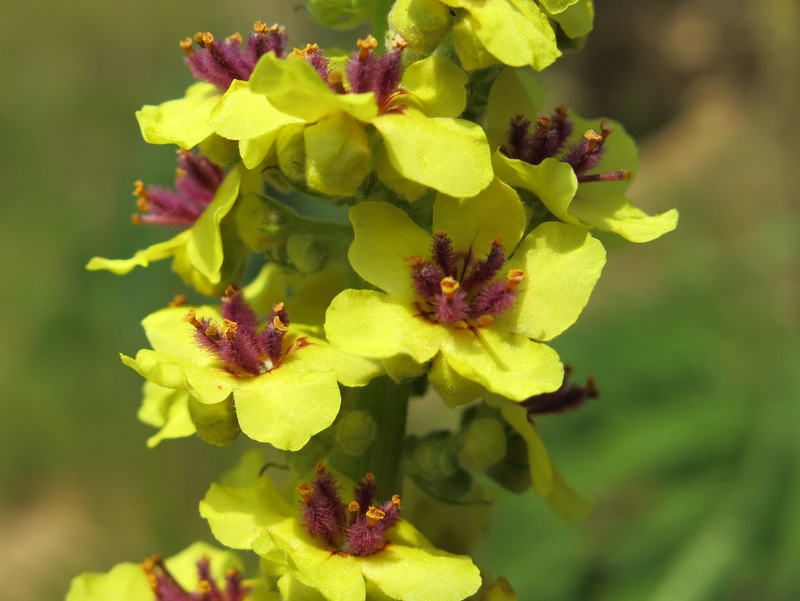 There are a number of old ash trees lining this track as well as interesting wildflowers with the purple flowers of common vetch and black knapweed on the verge mingling with more arable weeds such as pineapple mayweed and field poppies on the edge of the crops. When the footpath forks to the left or the right, take the right to do a slight kink but continue down towards the canal in the same direction as previously. On reaching the canal, turn left through a gate and head diagonally across to the opposite corner of the field where you will find a gate allowing you onto a wooden footbridge over a ditch. This field is a great spot to see fieldfares and redwings which migrate into the country in the winter time and can be seen from around October onwards. They forage in the open countryside and will quickly strip the remaining red and purple berries from hawthorn and blackthorn. Having passed over the ditch, continue straight ahead to the right of the hedgerow before you until you pass over a stream and up a set of steps to reach Denton Reservoir. Denton Reservoir is one of the best spots for waterfowl in the area – many species such as mallards, great crested grebes, coots and moorhens can be seen all year round but are joined by large numbers of tufted ducks and pochard during the winter. You might also spot cormorants and herons on this waterbody. The reservoir is favoured by anglers and you might be lucky enough to spot species including pike and perch if you keep an eye on the water as you walk around. At night, this is a great spot for bats with Daubenton’s and soprano pipistrelle foraging across the water. 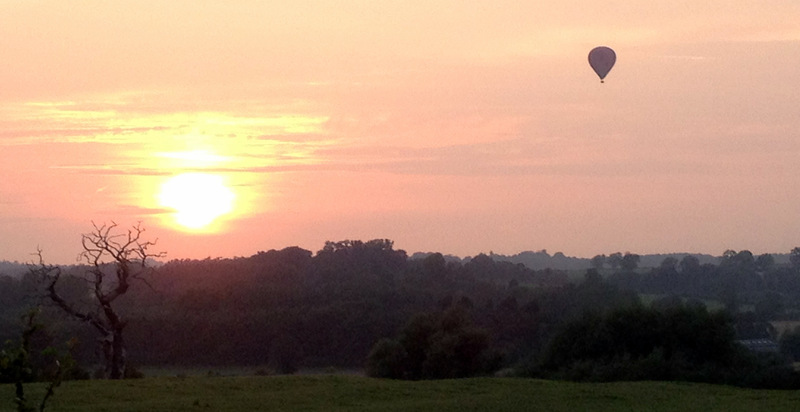 They can be best seen during a visit around half an hour after sunset on any warm evening between May and September. The much larger noctule bat flies high over the hedgerows and field edges which run around the perimeter of the reservoir, hunting insects on high rather than taking those which arise from the water. Walk to the right around the edge of the reservoir, taking care as there are no rails or fences, until you reach a path which drops down to your right in a gentle slope to bring you to a little brook which leaves the reservoir here. Take this path down and then follow the brook away from the reservoir until you reach a point where the path turns left or right. Take the path to the left. Quite quickly, when the woods end on your right hand side, turn right along the boundary between the trees and the field. 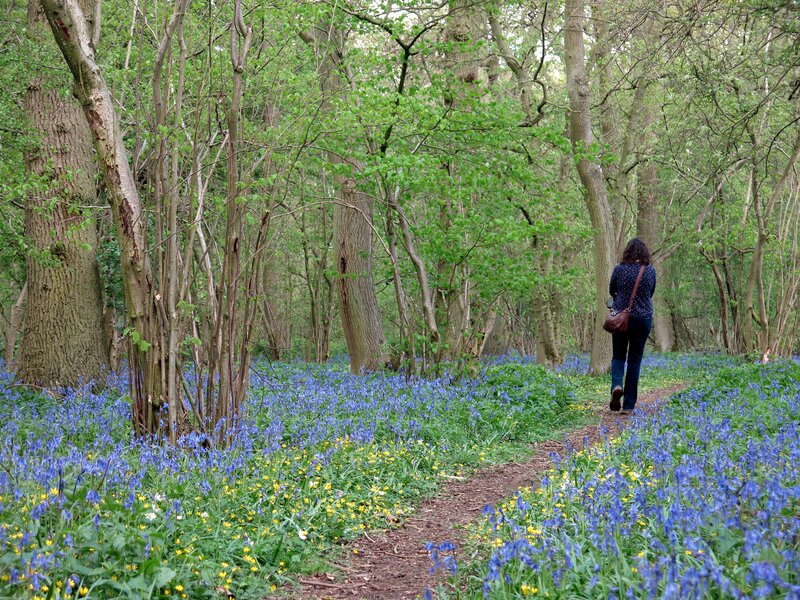 Walk along the woodland edge for the length of a field, then pass into the next. Here, cross the field diagonally along a well trodden path until you reach a small carpark area and a bridge which passes over Grantham Canal. Cross over this bridge and then turn left to follow the tow-path of Grantham Canal as it winds through the landscape. The canal is an excellent way to ‘reveal’ the landscape it passes through. It was built to be as flat as possible, to minimise the need for locks, cuttings or embankments. 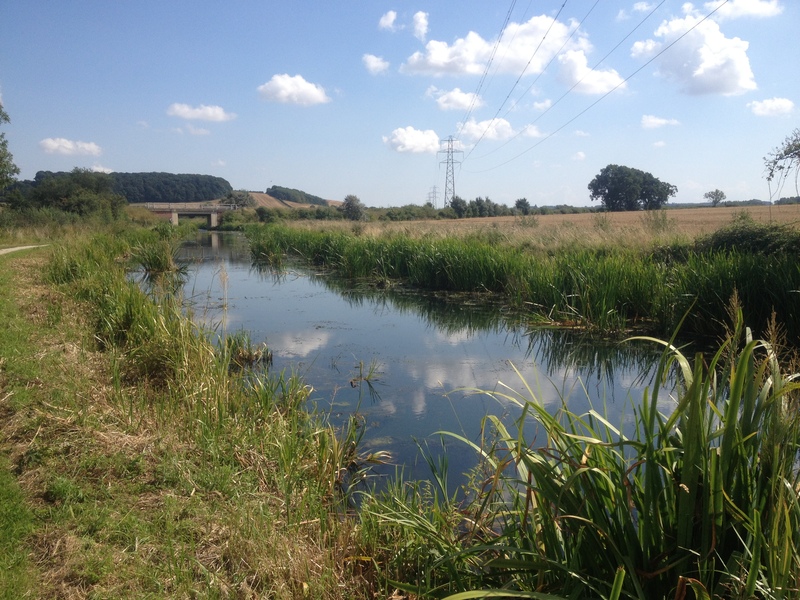 With this in mind, the meandering route and wide loops which the canal takes reveal quite subtle undulations in the landscape, as well as more prominent landforms. As you leave the bridge, you will notice a wide loop which the canal takes around a field and, looking back, you notice the way that this farmland rises up. You will pass under 3 more bridges as you proceed. The first is the road bridge for Casthorpe Road which links Denton and Sedgebrook. The second is an old canal bridge similar to the first which you can take left to follow the Viking Way up Brewers Grave – this route will take you all the way to Oakham to the left or Hull to the right. The third is a small footbridge which takes a footpath up to the road between Denton and Woolesthorpe. The hedgerows which flank the towpath to the right provide a feast of blackberries and sloes in the autumn. There are also hawthorn berries which are also edible although not entirely pleasant in my experience! If you look to the water, you can often spot shoals of juvenile fish including roach and dace as well as their larger parents further out into the channel. 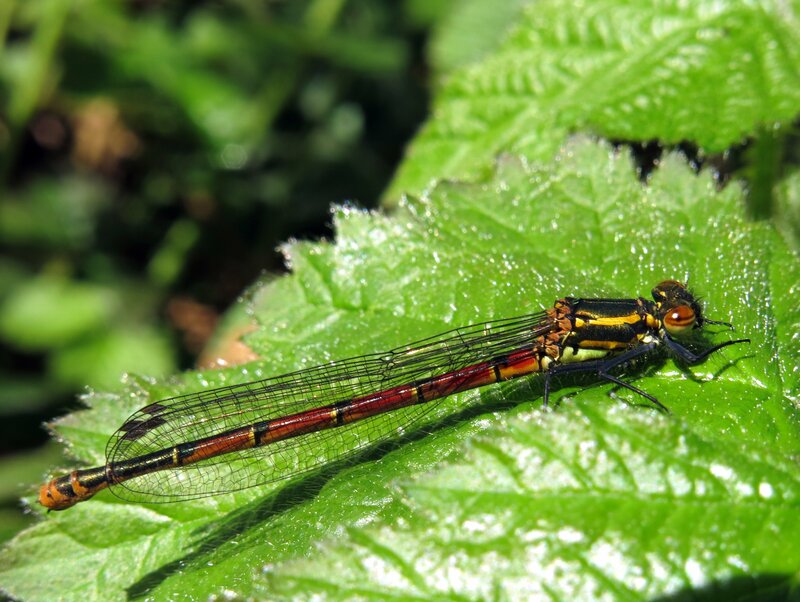 Dragonflies and damselflies are to be found in abundance along here in the summer right through to September. The dragonflies are usually much more substantial, and hold their wings out flat when at rest, as though they were soaking up the sun. Damselflies, often an iridescent blue, hold their wings together, as though they were making themselves as unobtrusive as possible. Walk along the canal until you pass the locks and reach another bridge, just before the pub. Cross the bridge just before the Rutland Arms (or the Dirty Duck depending on your preference). The pub does good standard pub food and offers a range of ales and other drinks for refreshment – a stop on one of their canal-side picnic benches is often a welcome rest at this point. This pub can get very busy, especially on nice days, so bear in mind that there is also another pub at Point 8. Then follow the track away from the canal up to the road where you will turn left towards the main village of Woolesthorpe. There is a pavement along this section. Cross and continue in the same direction when you reach a crossroads and turn left when you reach Worthington Lane. Walk up Worthington Lane until you come to a second pub called The Chequers. The Chequers offers a slightly more refined fare than the Rutland Arms – think ciabatta rather than sandwich! They also do a good range of drinks and there is a large beer garden at the back which is always a pleasant place to sit for an hour or two. If you walk past the frontage of the pub, you will see a very optimistic cricket pitch ahead of you – walk down the right-hand side of this until you reach a stile. Cross the stile and head up the hill, keeping the woodland on your left hand side. This is a steep section but offers fantastic views back across Woolesthorpe and out across the Vale of Belvoir. You can see just how flat the land is all the way out to the Trent to the east. Straight ahead, you can see Belvoir Castle on the top of the hill. When you reach a stile on your left hand side, go through it and follow the footpath past an area of recently cleared woodland. When you reach the road, turn right and follow it to a bend. This section does not have a pavement and cars can travel quite fast along it so walking on the wide grass verge is recommended! Luckily the walk only takes a minute or two. When you reach an s-bend in the road, you will see a house on your right and ornamental gates which lead into the Belvoir Estate. On your left is a track which takes you down to the canal – this is where the bridge we encountered along the canal would bring you to. Instead, we want to take the track to the right which takes you away from the canal and through an area of young woodland. This is the Viking Way. The track winds along between arable fields, bordered by hedgerows with sweet chestnut trees as standards all along. If you like chestnuts, it is well worth bringing a bag along to fill if you are planning a walk along here in late September or early October. The ease of walking along here does vary, depending largely on whether the various 4×4’s or trail bikes have been obeying the signs and keeping off. The restrictions on them vary but they are often permitted to use the route at certain times of the year when the disturbance and damage they cause can be enough to make it tough going for much of the rest of the year. The track will soon reach a railway bridge and a row of houses will appear just afterwards on the right hand side. Cross over the bridge and turn immediately left to drop down the bank and follow the path of the old railway to the left. You will pass a damp pine plantation to the left where woodpeckers can often be heard drumming on the trees or cackling their cry. On the right hand side soon after, you will pass a lake where you might be lucky enough to spot a heron stalking the shallows. On the approach to a second bridge, where we leave this section, you will see a lot of young ash trees lining the sides of the old railway line and forming a light canopy over the track. Ash is a relatively quick growing species and often colonises abandoned locations such as this. Walking along this section, take a moment to consider how different the landscape would be if ash were to go the way of English Elm as a result of Ash Dieback disease. When you reach another bridge, take the track which brings you up to the right of it, just before the bridge itself, and come back out onto the road. Turn right and follow the road down and into the village of Denton. Again, we are on a stretch of road with no pavement and potentially fast cars so do be careful for a few hundred metres until you reach the pavements which carry you safely through the village. 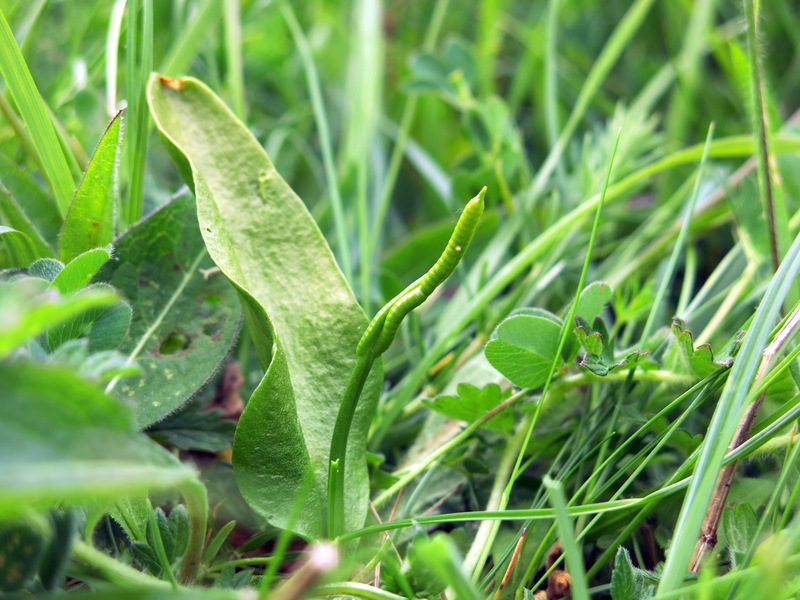 As you enter the village, just beside the Denton sign, there is a patch of butterbur on the left hand side. 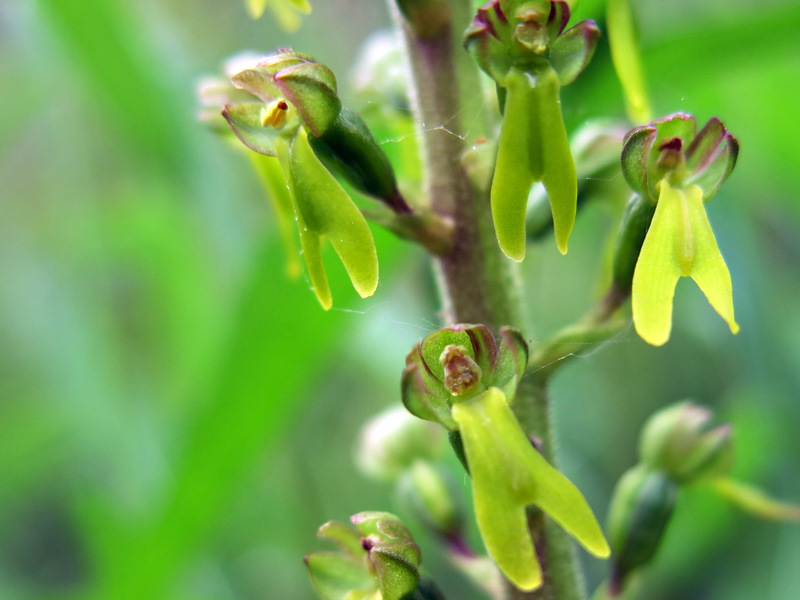 The great wide leaves and tall flower spikes look rather prehistoric and are very noticeable in May when they are in flower. This is a species often associated with wet habitats and the stream which passes just beside these plants explains their position here. As you pass through the village, you will see the village hall on the right hand side. This is one of the buildings from the WWI encampment at Belton Estate during the war when a machine gun training ground was located there. The road will bend left, then shortly right to head uphill towards the A607. Walk along until you see a footpath sign indicating you to turn off to the left. Follow the footpath down a narrow jitty between two hedgerows and out into a field. Walk ahead and slightly right to cross a stream at the bottom of the field where there is a bridge to the right of dense willow. There are often cows in this field so be sure to keep dogs on leads. As you enter the field, take a look to the left where you can see an impressive old oak in a private field behind the houses as well as a beech on the field boundary. After crossing the stream, head back uphill to a stile which opens onto a track. Turn right along the track for about 20m, then leave it again over a stile to your left. Follow the path diagonally across the field to reach a gap in the hedgerow at the far corner. If you look to your left as you walk, you can see the canal which you just walked and another nice view out across the Vale of Belvoir. Go through the gap, (carefully!) cross the A607 and go straight over the stile into the field opposite. Then take the track diagonally to your left to cut off the corner of the field and reach a gate which will bring you back into the village of Harlaxton. Walk through the two gates and then continue along the road which the footpath becomes. When you meet another road at a T-junction, instead cross over and go through a gate into the field. Cross this field along the footpath and go through two more gates to bring you out into the churchyard of Harlaxton Church. Walk across the front of the 13th Centuary church (look out for the gargoyles as you go) towards a large copper beech. This is recorded in the Woodland Trust register of coronation trees which were planted to mark the coronation of the queen in 1963. To the left of the beech is a small carpark and, just to the left of this, a track which leads you down the side and brings you back out opposite the monument at the start of your walk.